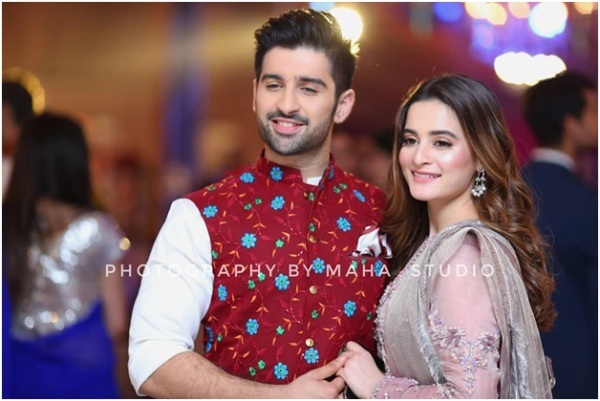 In this post, we are going to discuss about the most beautiful couple Aimna Khan and Muneeb But. As we know that since the both of them got married, and their new wedding images and honeymoon pictures were got top of the headlines on the social media news. But, after the long time, today here we have the recent images of the Aiman Khan and Muneed But from a wedding function. All of these images were capture from a grand wedding function with such a huge celebration. In these pictures couple was looking beautiful and stylish with amazing wardrobe. Furthermore, their wedding function was the main ahead to the main talk of the followers. But this couple did not care about anyone and enjoying the wedding function with complet fun and entertainment. Check out the amazing lovely Muneeb But with his wife Aiman Khan. Furthermore, both of the celebrities are most famous among the showbiz who reached the success heights in just the last time of period of their career.